Today, 11 September 2016, begins another edition of FedCSIS organized by the Polish Information Processing Society. MConference supports this event. It is an excellent example of using the conference application during such a large scale event. The four-day program is huge, more than 600 speakers, panelists. It’s a serious challenge for the organizers. 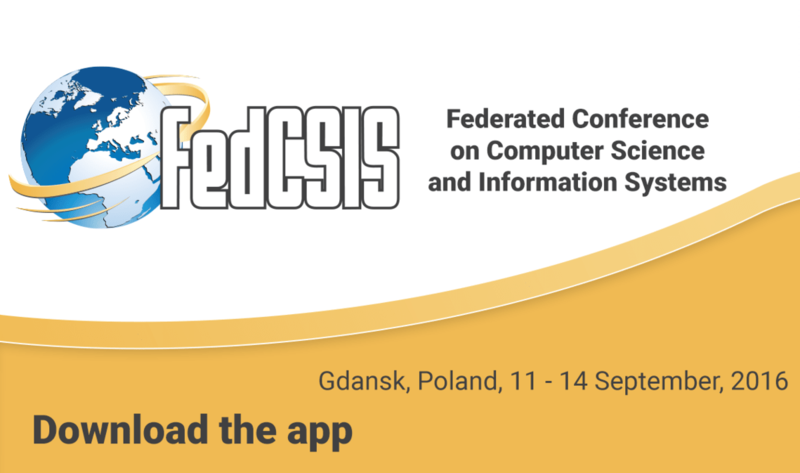 This year’s edition of FedCSIS (Federated Conference on Computer Science and Information Systems) is taking place at Gdańsk University of Technology in September 11-14. 355 scientists and practitioners from all over the world announced their participation in the conference. They will be attending 31 events – conferences, workshops and symposiums dedicated to information technologies.